Captain Justin Chapman is a 25-year veteran of the Sandy City Police Department. He has enjoyed numerous assignments including Patrol Officer, School Resource Officer, D.A.R.E., Community Policing Unit, Detective, S.W.A.T. Operator/Commander, Public Information Officer, EVO and ATV operations instructor, Bike Unit, Youth Court Coordinator and more. He was promoted through the ranks of Sergeant, Lieutenant and is currently a Captain where he oversees 70+ officers in the patrol division. In 2006 he was awarded the “Medal of Merit” award for his work in organizing the Youth Court program and his involvement in a Teen Dating violence awareness video. In 2007 he recognized the need for higher quality training for School Resource Officers, so he developed and began teaching an SRO Certification Course. That same year he also received the “Police Unit Citation” for contributions while serving as the Youth Unit Sergeant. He received the “Police Unit Citation” again in 2013, while serving as the S.W.A.T. Commander. 2010 36th NOVA National Conference. 2013 Power of Prevention Conference. In addition to the above conferences, he has presented and continues to present at numerous public and private events, training hundreds of students in a variety of topics. The most popular topics include: School Resource Officer Certification, E.S.C.A.P.E. (Active shooter response) and QPR (Suicide prevention). As a public information officer he has worked with local and national media outlets in TV, Web, Print and Radio. 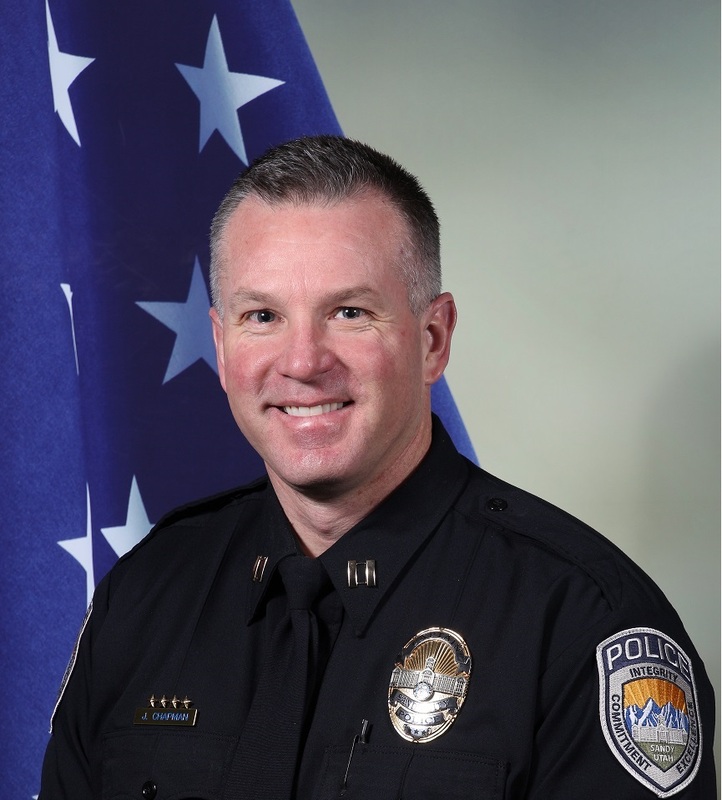 Justin was recognized by and given a Public Service Award (2001) from the FBI, when he captured the Utah Division of the FBI’s most wanted person, following a vehicle and foot pursuit. He has completed the FBI Command College (June 2012) and graduated the FBI National Academy (Session 270) October 2nd-December 15th 2017. He continues to actively work within the community; serving as the President of the Exchange Club (2016-2017) and as the Chairman for the Sandy Day of Pride (2017-2018), a clean up event that organizes hundreds of volunteers and resources to work on trail maintenance, clean up and beautification of the city. During his many years experience working with schools, students, staff and police officers, he has developed a passion for the subject matter that he teaches and has genuine concern for those he meets. Posted on November 7, 2016, in Uncategorized. Bookmark the permalink. Leave a Comment.